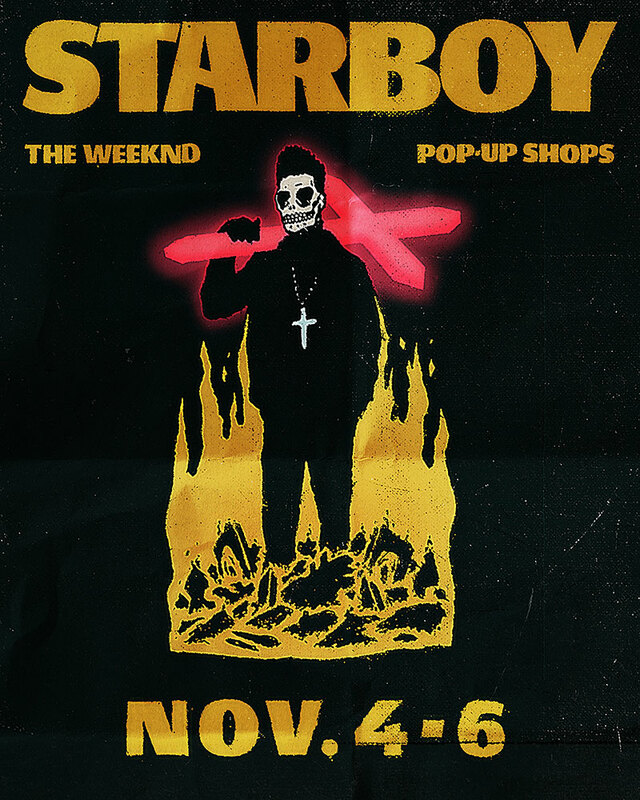 In anticipation of his forthcoming LP, Starboy, The Weeknd took to his Instagram minutes ago to announce his Starboy Pop-Up Shops, which may be coming to a city near you. Hitting a number of yet to be determined cities on November 4th through the 6th, you can visit The Weeknd’s official website to sign up to get more information on upcoming locations. And don’t forget, The Weeknd’s new album Starboy is just a month away (November 25th), but you can pre-order the album now.